If you are coming to Argentina between July and September for an internship abroad or volunteer work stay you can also enjoy winter sport activities in Argentina. Of course not in Córdoba. Sometimes it is also snowing in the Sierras of Córdoba but not enough to do skiing. For skiing you have to go to the Andes far west to Mendoza or to the South of Argentina. If you are doing work and travel in the winter time in Argentina you could also look for a job in one of the ski resorts. Once an austrian ski teacher visited us who is communting between the ski seasons of Austria and Argentina and he told us that he is earning more money as a ski teacher in Argentina than in Austria. Here we list the 10 most important ski regions of Argentina. Located 180 km from Mendoza along the road to Chile and in front of the Aconcagua. Season from July to August. 300 ha compound and 25 ski slopes. At 2.240 m above sea level located in the south of the province of Mendoza. 29 ski slopes for all level. Saison from 11th June to 24th September. In the middle of the Andes at the foot of the volcano Copahue. At 1.650 m above sea level the saison is going from June to end of September. 22 ski slopes. About 370 km from the province capital of Neuquen. Today it is a crater lake of the extinguished volcano Batea Mahuida. Season is from June to October. The main slope monkol is base on 1.700 m above sea level. Located nearby the city of San Martin de los Andes with a spectacular view to the Andes mountain ridges. 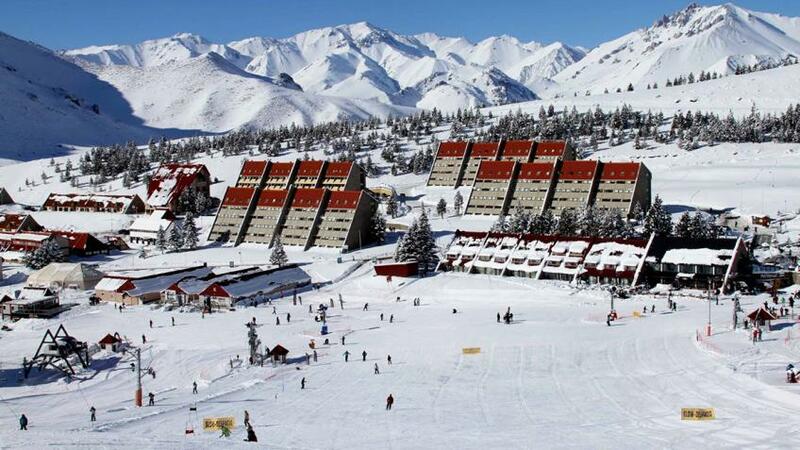 Here you can go skiing at 1.980 m above sea level from June to September. 22 ski slopes invite all ski lovers. Chapelco won in 2016 the award of the best ski resort in Argentina. A compound of 200 ha ski area with a view over the Nahuel Huapi lake. Its 22 ski slopes invite from June to October skier from all over the world. Just 10km from Bariloche the Cerro Catedral is a very popular ski spot. The mountain ridges remember a gotic cathedral, that´s where the name came from. 1.200 ha compound and the season goes from June to August. 30 ski slopes and 34 lifts o rides to the slopes. Perito Moreno is a ski center close to El Bolsón. The best time to go is between July and August to ski on its 9 slopes distributed over 11km. Close to the city of Esquel this ski center is sourrounded by stunning nature. Mountains, woods, rivers and lakes. The season goes from June to the first October days. 30 ski slopes for all level. 11 transportation means will bring you from 100 m up to 1.050 m height. The most southern ski area in the world. Saison from June to October. Entrance from 10 a.m.– 16:45 p.m. A total of 33 ski slopes for beginners and advanced skier. 12 means of transportation and lifts.